UN IPCC AR5 report infected with fatal technical and procedural flaws | Watts Up With That? The UN IPCC AR5 latest climate assessment process comprising WGI, WGII and WGIII reports is complete. This process includes many hundreds of authors and reviewers, consideration of thousands of papers and ten of thousands of pages of reports, associated technical summaries and appendices. Yet amazingly with all this extraordinary expenditure time, effort and expense the report itself documents a monumental failure which has infected the process with fatal technical and procedural flaws which destroy the credibility of the WGII and WGIII findings. The genesis of the fatal technical and procedural flaws are contained in the WGI report which documents the failure of the climate model global temperature projections to agree with observed global temperature measurements. 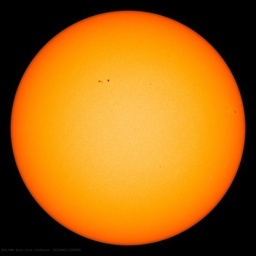 The WGI report then performs a technical analysis demonstrating and documenting that the climate models cannot be relied upon to provide reasonable projections of future global temperatures even to the year 2035 let alone the year 2100. As a consequence WGI devises an estimate of expected but lower future global temperature increases to 2035 using “expert assessment” instead of relying upon climate model exaggerated higher temperature projections. The WGI report need to create a non-climate model derived global temperature estimate for future temperatures is neatly summarized and documented in Chapter 11 Figure 11.25a, b and c.
The WGI report goes even further in demonstrating and documenting the limitations and shortcomings of the climate models by highlighting in the Technical Summary description the lack of accuracy and precision of climate model temperature computer output scenarios by admitting “The scenarios should be considered plausible and illustrative, and do not have probabilities attached to them” in Box TS.6. These critical determinations from the WGI report which define and document the highly significant technical shortcomings and limitations of the climate models are completely ignored in the WGII and WGIII reports which proceed to utilize these flawed models as the primary basis upon which climate risk assessments are determined. This action by WGII and WGIII reports constitutes both a monumental technical as well as procedural fatal flaw which undermines and invalidates the climate risk findings contained in these reports. The UN IPCC AR5 report findings inappropriately rely on flawed climate models which exaggerate higher global temperatures as described and addressed here (http://wattsupwiththat.com/2014/04/07/un-wgii-report-relies-on-exaggerated-climate-model-results/). 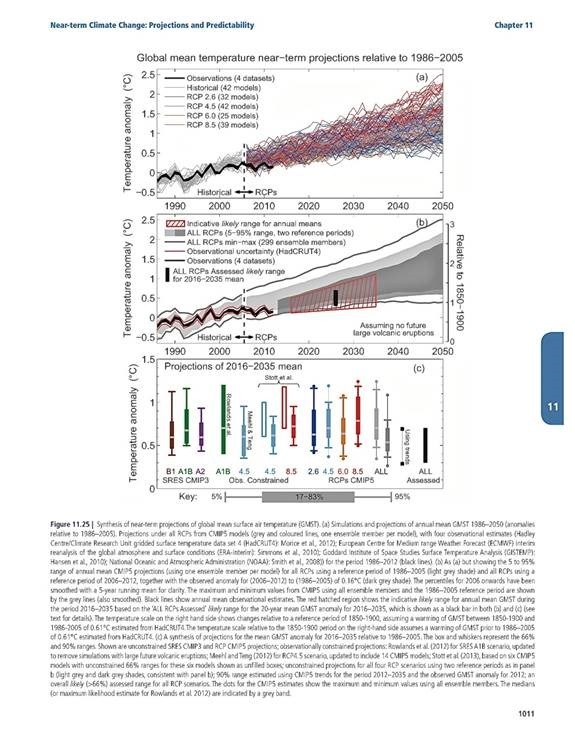 Additionally the AR5 reports are grounded in speculative conjecture based on well documented climate model analytical limitations instead of solid science as described here ( http://wattsupwiththat.com/2014/04/15/un-ipcc-ar5-climate-reports-conjecture-disguised-as-certainty/). These huge flaws and limitations make the use of the UN IPCC AR5 reports for purposes of framing government climate policy actions completely inappropriate and unjustified. Simple as that. Inflammatory Climate Syndrome. This line of research was bound to fail for it was crippled from the start by a non-scientific and illogical methodology. This message needs to be given as much air as possible. It is simply fraudulent to generate “a summary for policymakers” which is NOT based on the science. Criminal! The argument’s logic is simple: Outline showing that the models cannot be relied on for making a 20 year projection of global temperature based on the knowledge of the analytical systems’ capabilities; the follow-on reports use the systems in spite of their documented inadequacies. The suggestions/speculations contained in the other reports are the result of the misapplication of time and treasure, and are being used to further misdirect the time and treasure of whole governments. What I noticed in the past few weeks is the amazing similarity between this coercive enterprise and the actions of the ‘economic hitmen’ of the 1970’s and 80’s who conspired to bring a series of targeted nations into debt servitude. With nations (Spain for example) already succumbing to massive ‘green economy’ debt, the impoverishment of certain parts of the globe seems assured. Huge amounts of funding are being directed into boondoggles like huge wind and solar installations that will never be energetically or monetarily gainful. Such expenditure takes away from much-needed education and infrastructure development, which will have to be found no matter what, creating additional public debt burden. The result is the same as spending billions on giant dam projects in the 1970’s, on the assurance that, ‘if you built it the economic development will come’. That of course was a deliberate farce designed to create debt servitude as outlined in the book, “Confessions of an Economic Hitman” by John Perkins. Read it, and the sequel. Each major boondoggle financed because of the entrail-based forecasts by the IPCC is an additional hit on the economy of the participating country. Even this layperson understands that merde, mierda, poop is still crap even after any subsequent analysis. It still smells. Unfortunately our politicians do not care and will use the WGII and WGIII reports to justify their pet projects, policies, and regulations all in the name of saving the planet. Larry Hamlin’s posts point to ignoring their own earlier internal assessments and cherry picking. Why does the IPCC do this? How did the former oil man and rail road engineer Pachauri know this in 2009? Why not do away with the IPCC and just have the RPIPCC (Rajendra Pachauri Inter-Governmental Panel on Climate Change?) I want to know how this was possible. Does the IPCC now allow clairvoyants in? What is going on? Make up a model….use whatever data I need to prove my belief is right…..disregard any real data….make up a chart that looks scary….send a summary of my findings to governments around the world….and they follow. How much power do these people have and why? And you thought zombies weren’t real. With all due respect to Larry Hamlin, the governments bought WGII & III. They did not want WG1. The reports are flawed because the process is flawed. It has always been a conclusion chasing justification. And manipulating data to arrive at a predetermined outcome. Fraud is still fraud even if it is well funded fraud. I agree this is criminal. So how do we take the UN IPCC to task? How do we demand legal satisfaction? How do we expose the fraud? The UN. A fine set of paid off individuals. They cannot even lie straight .. in bed. Next they’ll be telling us Putin is taking over the World and we must stop him. NOW. Before the 3 minute warning. All this is oil wars. Lies about climate are part of it for public consumption. Hiding the truth:- Oil and gas will become a rare and expensive commodity within a couple of decades. They dare not lose out on control of supply. It is very clear that we do not need another IPCC report. Even the Guardian’s Leo Hickman agrees. There is no time left for us to wait another seven years to hear what the IPCC has concluded. Procrastination and delay are now our worst enemies. We must sincerely thank these scientists for their hugely important contribution to our collective understanding about climate change, and the risks it presents, but we are now on our own. This is it. Our collective fate is on our own hands and we must move forward with urgency and clarity of purpose…………. I bet this is not the last report even though I hope it is. There will be more reports until they get the right results ie people giving a shi#. Leo Hickman is out of his mind if he thinks his crappy toilet paper can move anyone. It’s a closed shop of Climastrology for eco-turds. Worse than any drug cartel. But, my eternal question is why choose that approach as scientists? My tendency is to think the reason why they, as scientists, chose the method is because they think it is an appropriate method as opposed to the well known established objective methods. I am implying they are making a new kind of science that is purposely subservient it social ideology; namely they are creating a post-modern philosophy based science and post-normal science. The credibility of the models was totally destroyed in the SPM that came out last year. It said that they cannot give a best estimate of climate sensitivity due to uncertainty in both the sign and magnitude of any cloud response to CO2 induced warming. If they do not know whether low clouds will increase causing cooling or decrease causing warming, then they have simply guessed at what might happen without having any supporting evidence. Consequently all the models and all projections based on them, are utterly meaningless. What more do you need – other than the media to catch on. Based on this current post of yours about AR5 and the one the other day here at WUWT which was also about AR5, I think you should approach Donna Laframboise to do a joint book on AR5 and the IPCC process and issues. You have a style that I think meshes well with hers and you add technical/ scientific communication capability to her journalist flare. You my friend have a very good idea there ! Listen to him Larry . From Stonehenge to satellites, we still don’t really have a clue. I know that throwing “money” at it, won’t change it. (don’t tell that to our bettors, it might hurt their feelings). Based on this current post of yours about AR5 and the one the other day here at WUWT which was also about AR5, I think you should approach Donna Laframboise to do a joint book on AR5 and the IPCC process and issues…….. I second that. If not a book then a peer reviewed paper critique or heavy joint blog post for starters. They seem defenseless against your analysis. UN IPCC AR5 is actually policy based science that has been established and funded by politicians that need the report so they can act and intervene? The leftist and national environmental departments are just getting what they have ordered and want/need? Never mind, instead, just look how well the UN, the USA Administration, the UK Government and the EU are doing over the Ukrainian issue. The way things are going, WW III will soon take precedence over IPCC AR5! P.S. what use is the UN? Is it more believable scientists have found enough evidence to warrant a complete halt to future development and we must allow governments to hold billions of people in energy poverty? Is it more believable that some individuals have found a mutual vehicle which supports their personal beliefs and allows them get very rich by pushing their own agenda and goals? This would explain why the only answer to the problem is the rich get richer? They must create carbon credits so the wealthy can bundle $Trillions in hedge funds. We must give more to the government because they need more. I have not heard any honest, real time scenarios how either of these can help Al Gore reduce the earth’s temperature right away. Has anyone noticed that the hockey-Stick graph, or an adaptation of it, is in Chapter5 pp117,118 and 125 of the WG1 final draft( 2216 page version) of AR5?